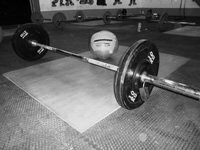 CrossFit 365 is a South Wales based strength & conditioning facility based in Skewen with direct access off the M4 corridor, plenty of parking and a warm welcome. The facility offers a structured general physical preparation programme that is tailored & scaled to the individual’s needs & abilities. The programme is broad, general & inclusive which prepares the athlete for any eventuality that may come their way. No one knows what ‘game day’ may bring so we at Cross Fit 365 firmly believe you should be prepared for everything. 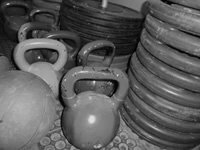 If you are looking to improve your well being, become fit or push your performances to an elite level then CrossFit is the perfect conditioning tool for you. It is particularly suitable for time starved people as workouts can be completed in as little as 10 minutes! An ‘on ramp’ schedule is provided to all new entrants regardless of previous physical experience to enable the coaches to assess and place your needs & goals correctly and also to instruct on the fundamentals of the CrossFit methodologies. Classes are performed in small to medium groups with emphasis on training quality, fun and progress for each individual. 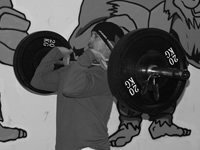 There is a high ratio of coach to athlete to try and make sure every visit to the CrossFit class is maximised. 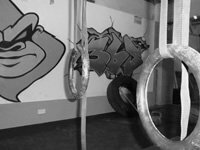 The training methodologies are based on using functional movements performed at high intensity on a constantly varied basis with every session providing a new challenge skill. Our program is designed for scalability and applies equally well to all individuals regardless of age or fitness background. By varying the load and intensity, we aim to start you at the most appropriate level for your fitness and experience. With commitment to the program and hard work you will most certainly gain greater general fitness and a much higher level of athleticism. Be warned, CrossFit is much much more than just the most results driven conditioning programme around, the training, effectiveness and community it provides is more addictive than chocolate! Look forward to seeing you at Cross Fit 365.